If you head north from Vancouver, along Highway 99, in less than an hour you will reach Squamish; a small-ish but growing town. It is about halfway between Vancouver and the very well-known ski-town of Whistler. To some people it's home, to others it's a town you pass through on the way to Whistler, and maybe a good place for a brief stop along Highway 99. To us, it has been our Canadian home for almost a year and a half. 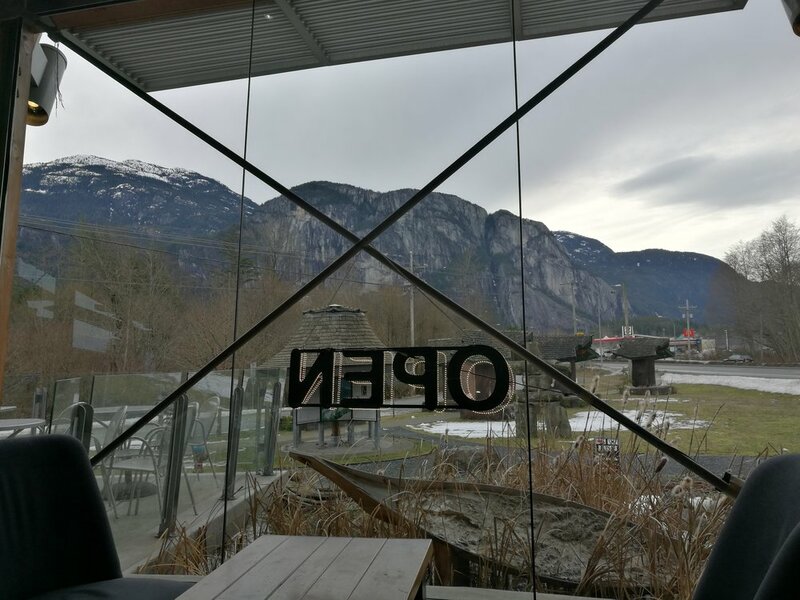 We didn't expect that we would find much in the way of a good cup of coffee here, but we were pleasantly surprised; there are some good choices in Squamish. 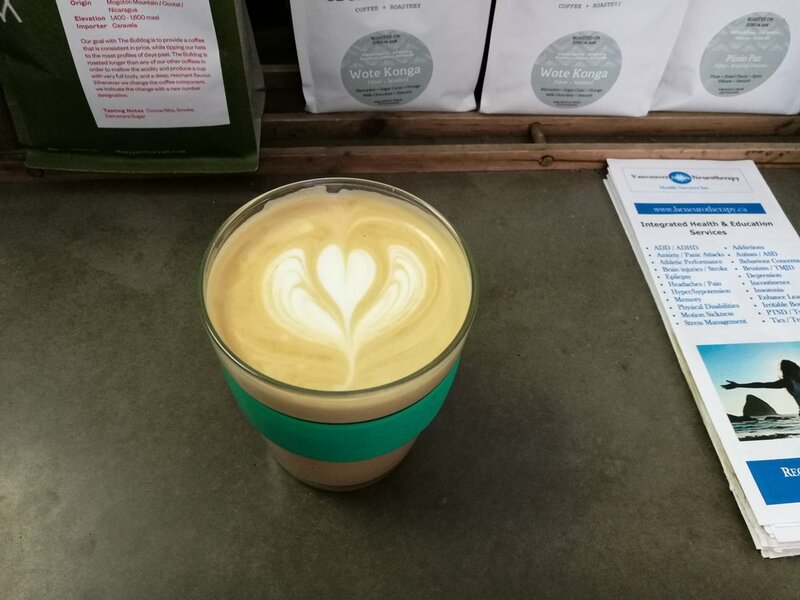 We've probably tried EVERY coffee shop here, so we thought we'd create a brief guide to coffee in Squamish, so you can get a better idea of where to go next time you're visiting or passing through. Not only do they make excellent coffee, but they also seem to know a lot about what goes into the cup and the beans they are using (they use a variety of beans). The coffee here is okay (depends on the Barista), but they usually have a good selection of food. The location makes it a good stopping place just before heading North out of Squamish towards Whistler. A roastery that has recently expanded it’s coffee bar into a bright, stylish space. They also offer a selection of baked goods from the near-by Tall Tree bakery; and if you sit in, your coffee comes with a delicious Speculaas cookie. Coffee is so-so, but it has really good food options (vegetarian). Another great place to stop in for breakfast if you’re heading North out of Squamish. 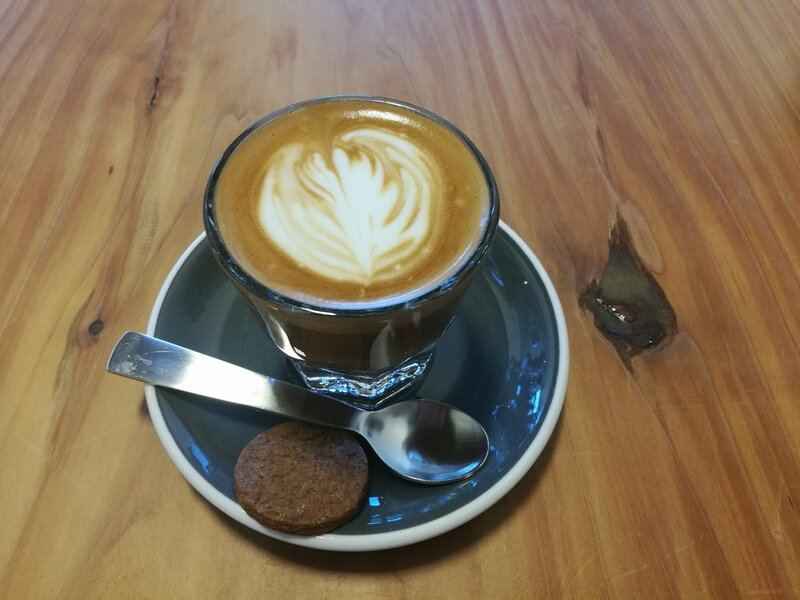 Perhaps more known for their delicious Japanese-inspired menu, Kululu also offers good coffee and a really good selection of tea in a nice, relaxing space. Located in Brackendale, this is not our favourite place for coffee, however their food options are really good. 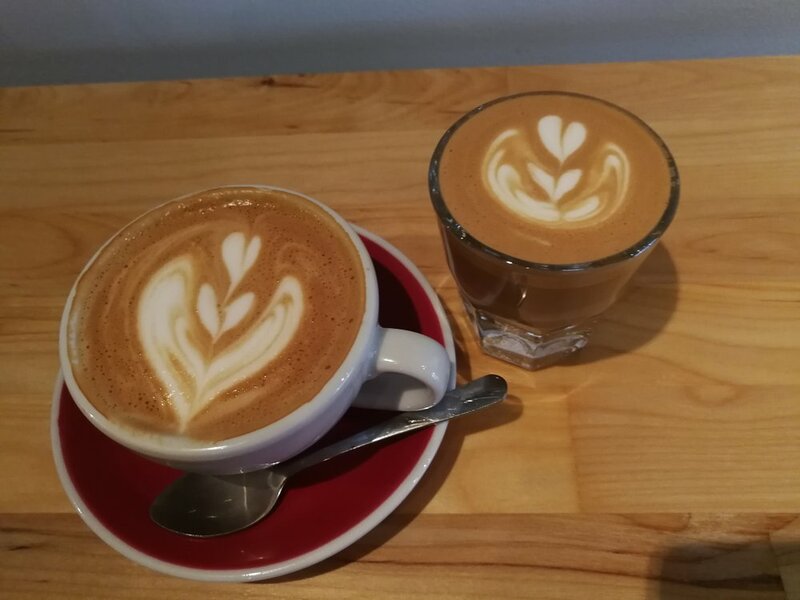 We'll also add in a last-minute mention of Galileo Coffee Company and Roastery (for some reason we can't find any photos!). As we lived in Britannia Beach for a while, it was a place we would visit frequently. The coffee can be good (depends on the day) but they have a really good selection of food, particularly their Breakfast sandwiches and Lemon & Blueberry scones. Located South of Squamish, it's a good place to stop if you are heading to and from Vancouver. Whether you are a Vancouver local, or from elsewhere and just visiting the area, it's worth stopping by and spending some time in Squamish. Not only are there good coffee options, but also lots of great food, recreational activities and attractions (we might talk about those in another blog post). Whistler might be high on your list to visit, but that doesn't necessarily mean you have to skip Squamish to get there. Instead, why not try incorporate it into your visit and explore more of the Sea to Sky corridor than just Whistler. We hope you enjoy tasting the coffee in Squamish. We're pretty sure we've hit most of the coffee spots, but if there's any we've missed let us know here, and we'll be sure to check it out!